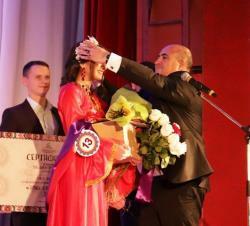 Azerbaijan's beauty Rugiya Mustafayeva became the winner of the first Ethnic Cultures in Kamchatka Krai 2018 contest. The competition was attended by 14 residents of the peninsula aged from 16 to 30 years who represented various nationalities. Each of them performed with a national creative number, told about herself and her people, took part in a defile in national costumes. 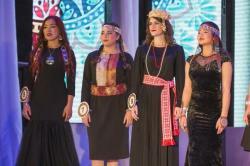 The jury estimated the contestants in each nomination, then summed up the points of the contenders for the title of "Ethno-beauty". The jury evaluated the performances of the participants according to the degree of performance skills, the complexity of the repertoire, the level of language proficiency and other criteria. As a result, the contestants from Yakutia and Azerbaijan scored the same points. This situation was solved by open voting: the jury awarded the victory to Rugiya Mustafayeva, a native of Kamchatka Krai, an ethnic Azerbaijani woman. Chairman of the Council of the Regional Commonwealth Public Organization Ramazan Huseynov crowned the Azerbaijani contestant with a magnificent crown and handed over a certificate for a cash prize. Rugia Mustafayeva was also recognized as the best performer in the nomination "National Folk Song" and got "Audience Award." 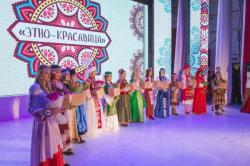 The title of the First Vice-Miss was awarded to contestant from Petropavlovsk-Kamchatsky Alexandra Ivanchenko, the title of the second Vice-Miss was conferred to Karina Etaurgina from Vulkanny settlement. In the nomination "National Folk Dance" the jury awarded the victory to Svetlana Kim from the Bystrinsky region. In the nomination "Theatricalization", the Ukrainian Ekaterina Vinnik gained the victory. In the nomination "National Folk Costume" - Yakut Alexandra Ivanchenko was named first. 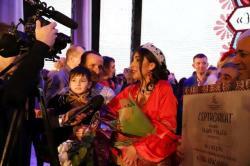 In the nomination "Artistic word" the jury awarded Saran Budayeva from the Buryat community "Baikal". The competition was organized by Sodruzhestvo Youth Committee with the support of the Agency for Domestic Policy and the Ministry of Culture of Kamchatka Krai.